Last year, the American Documentary Film Festival (AmDocs) forged an alliance with three other International Documentary Film Festivals, designed to allow each of them to share content, and provide independent documentary filmmakers with greater access to worldwide audiences. AmDocs 2017 will feature fourteen NSDN films from its three partners – DokuFest (Republic of Kosovo), DocsDF (Mexico), and EDoc (Ecuador). This year’s DokuFest submissions provide a powerful look at several very different issues relative to the countries and residents of the former Yugoslav state. One of the films, Depth Two, looks back to the atrocities of the Yugoslav wars. Using verbal testimonies from both the perpetrators and the victims, the film unfolds like a hypnotic thriller as it visits places where heretofore unknown massacres resulted in hidden mass graves. Another film, Tourism!, looks at the present day impact of tourism along the Croatian coast. Every Summer, tourists from all over the world arrive and literally double the area’s population. A third film, a short called A Short Family Movie, introduces audiences to Marica, a woman who was convicted for assaulting her daughter-in-law with a knife and served 2 years and 7 months in prison. Now, though, Marica is coming home…. Finally, in an almost surreal (yet very real) documentary appropriately called Batusha's House, we meet Batusha – a man who has been building a tremendous house in the outskirts of Prishtina in Kosovo for 15 years; without any plans, architects or building permits. The offerings from DocsDF offer unique insights into pieces of the Mexican culture that most people, even those living in Mexico, might never see. Aurelia and Pedro tells a pastoral tale about life in the remote green highlands of the Wixáritari in Western Mexico, while Dotted Lines tells the stories of people who have disappeared without explanation, and the impact those disappearances have had on their families and loved ones. Bath of Life, also from Docs DF, is an immersive documentary into the inner life of a public bath in Mexico City. Several people who have attended the baths regularly over the years share their own past, what the baths means to them. The last Docs DF film, The Underground Traveler, takes viewers deep into the metro in Mexico City, which carries an average of 3.9 million passengers per day. It’s a massive undertaking. But the metro is more than just a conduit of bodies. It is also an entirely separate community lying deep below the city. EDoc returns to AmDocs this year with five films, each telling a very different story. Dream Town follows a young soccer player in Ecuador over the span of six years, from his time in the youth minor leagues until he secures a place on Ecuador’s First Division team, ranking among the country’s top 10 players at the young age of 17. The New Man follows Stephania, a trans woman living in Uruguay, as she returns to Nicaragua, and to the town where she lived as a little boy. Another film, Impression of a War, examines the impact of living in Columbia, which has been plagued by armed conflict for over seventy years. On the other side of the spectrum is Territory, a stunning travelogue of Ecuador that was inspired by the travel journals of Henri Michaux, a Belgian avant-garde poet who traveled to Ecuador in 1926. Finally, EDoc offers up The Flight – an intimate dialogue between mother and child, where love mediates the passage between the infinite world of desire and fantasy and the finite world of fear and rationality. 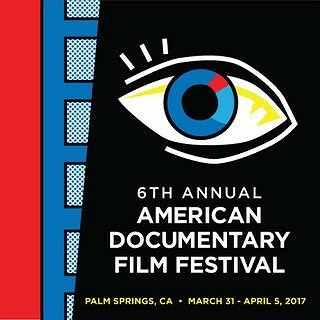 Tickets and Passes for the 2017 edition of The American Documentary Film Festival are available now by clicking here or in person at the Camelot Theatres Box Office.